I was provided colorful kitchen essentials from Core Kitchen for my personal enjoyment and use in exchange for my honest feedback. I was not compensated for this review or for hosting this giveaway in any other way. All opinions expressed below are 100% my own. I have to admit- I am a sucker for pretty much anything bright and fun for the kitchen. I often bring home a novel, brightly colored new kitchen gadget only to find out that though the colors may be pretty, the quality and construction of the fun gadgets were not up to par. A handle would snap off. 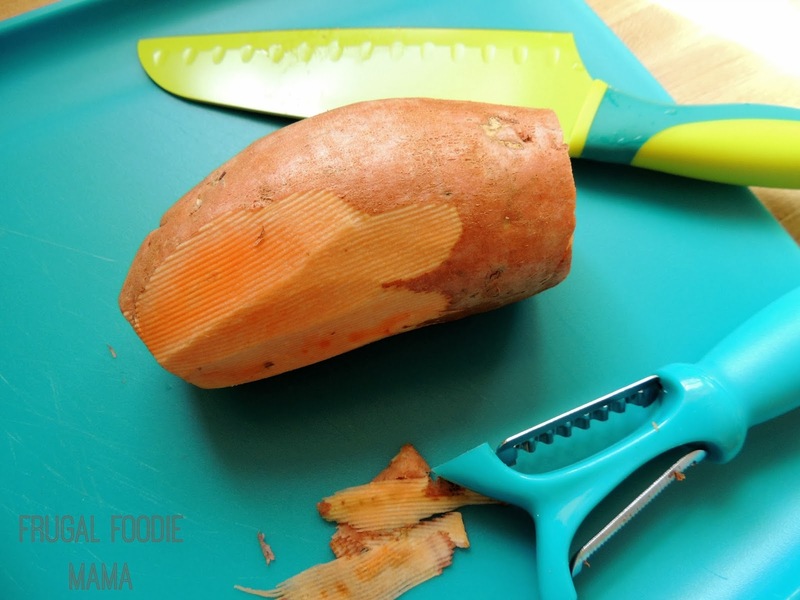 Or the blade on that nifty potato peeler couldn't slice off a peel from a potato if my life depended on it. Yep. A big womp womp. So I would revert back to the plain, old boring black & silver kitchen gadgets that never let me down... at least when it came to actual sturdiness and usefulness in my daily kitchen adventures. 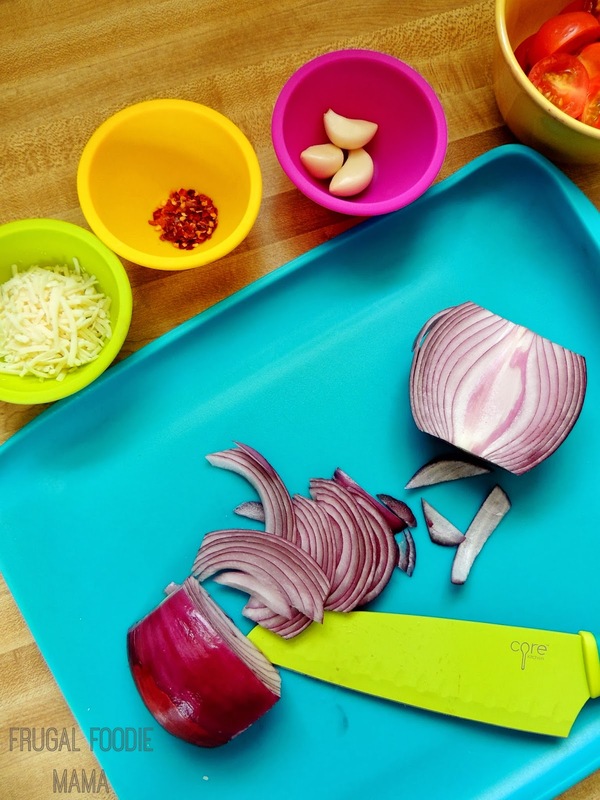 It just seemed to me like you couldn't have fun pops of color and durability in the same kitchen gadgets. Then I was invited to give Core Kitchen products a go. I have to admit that initially I was skeptical. 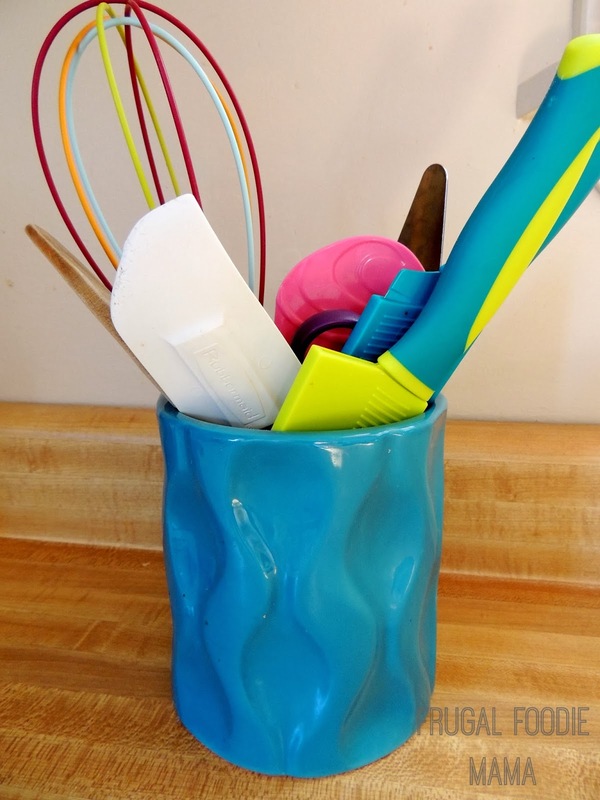 I was VERY impressed by the fun colors I was seeing on their site, but would they hold up in my kitchen? The Grip Strip Funnel Board gets used in my kitchen almost daily. I just love this cutting board. The grip strips ensure that the board doesn't slide around while you are slicing and dicing, which I find to be pretty much essential when you are doing that slicing and dicing with the Core Santoku or Chef Knives. And I love the heavy duty plastic sheathes that come with them. I can store them in my Wavy Utensil Holder and not have to worry about trying to make room for them in my knife block. 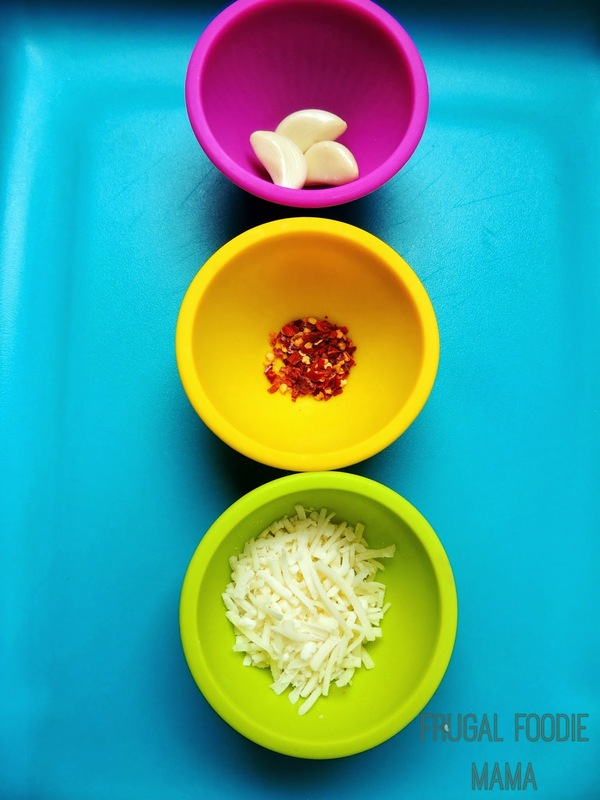 I have had all of these bright and fun Core Kitchen products in my home for over two months now, and they are definitely standing up to the daily abuse of a food blogger.... and the constant snacking of a toddler. **Winner will be able to choose their own colors, but colors will be subject to availability. *This giveaway is open to U.S. residents only. All entries for the winner will be checked and verified, so please make sure you are doing what you are claiming in the Rafflecopter or all your entries will be voided. No funny business, folks. ;). By entering you give the right to use your name and likeness. Number of entries received determines the odds of winning. One winner will be selected. The winner will be notified via the email they provide, and will have 48 hours to reply to the email. If the winner does not reply back within the 48 hours, they forfeit the prize and a new winner will be chosen via Rafflecopter. The prize will be sent directly to the winner via Core Kitchen. Frugal Foodie Mama is not responsible for the delivery of this prize. Entries must come from your MAIN social media accounts, not accounts that have been set up separately just for entering giveaways. Entries from these types of accounts will be disqualified. Protected tweets do not count as an entry method for tweeting. Tweets must come from a public account. No purchase necessary. Void where prohibited by law.